Work for Mac comprises tools such as Pages, Numbers, and Keynote and works just like Microsoft Office for Apple devices. Though it is not as popular as Office, it works well on Apple devices. If you’re familiar with iWork office suite then it’s time to level-up. Learning hacks to make working with iWork Fun will not only enhance the productivity but also will make working easier. In this post, we have listed some of the advanced hacks and tricks to make you work easier on Pages, Numbers, and Keynote. Autocorrect feature is an amazing way to write a content without any mistakes but it can be irritating as well. It could hamper your typing speed as it would modify things according to its own default dictionary. You can customize Autocorrect settings: Navigate to System Preferences->Keyboard-> Text. It will be applied all over macOS. However, you can overrule these settings for every iWork app such as Pages, Keynote & Numbers. To do that, you can go to Preferences->Auto-Correction. Moreover, you can make a custom list for replacing text. iWork apps consist of combinations of shapes, fonts, colors, and more to change how the objects look. All these styles stay hidden in Format Inspector. The options available depend on the object for which you want to change a style. You will see a Style tab for media, text boxes, and shapes. Table styles and Chart styles will display under Table tab and Chart tab respectively. 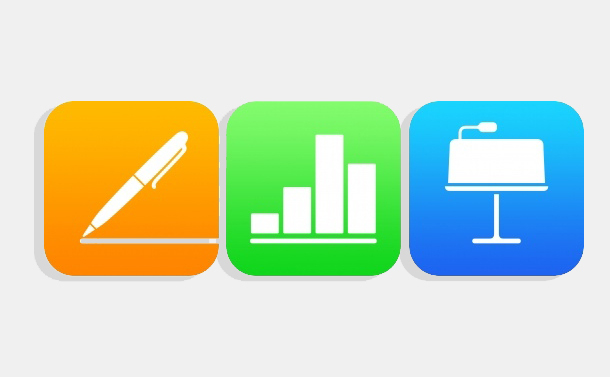 iWork apps such as Numbers, Pages, and Keynote, you can create Styles as you go. To add new, choose any object whose style you want to save and then click Format->Advanced->Create Style. If you want to add character, paragraph and list styles, you need to locate it at the different place. You will get it to the top-right corner of the style list. You can also copy and paste custom styles from one document into another document. For that, you need to select the object whose style you want to copy and click Format->Copy Style. Now click Format-> Paste Style option in the document where you want to proliferate the style. If you want to add a hyperlink, select the text to which you want to add a link. Go to Format-> Add link menu. You can also right-click on the word and enter the link that you want to get redirected to. If you add movies and photos into iWork document, the file size will increase. As when you add objects to the file, it stores the media in original size and resolution. To compress it, Click File->Advanced-> Reduce File Size. Now, you get a message box which will tell how much size of the file will be reduced. Click Reduce button to initiate the process. You can change language and region preferences for each document of iWork. This will impact the way your document shows dates, numerical values, currencies and more. To do the changes, click File->Advanced-> Language & Region. You can also change system settings, System Preferences->Language & Region. Note: it will not make any changes to the existing data but the new data entered will be displayed with the changed format. Also Read: How To Fix Safari Keeps Crashing On Mac Issue? If you don’t want to lose important content and objects while editing, you can lock them. To do so, go to Arrange-> Lock Option. You can lock one or more objects at a time to ensure that you don’t lose your important content. If you wish to unlock the object as you want to move or edit it, click Arrange > Unlock. While working on a document, you want to apply a certain style a group objects and treat them as a single item. To group objects, click Arrange ->Group. If you want to edit the group items individually, you can ungroup them by clicking Arrange->Ungroup. View toolbar can be found at left-hand side corner. The toolbar consists of rulers, find & replace, rulers and more. Moreover, you can get special functions as well depending on which iWork app you are working on. So, these are the few hacks that can be used to make it easy working on iWork apps. Try them and let us know if it helped.